Charleston, South Carolina. It is one of our favorite destinations. Known not only for it’s history, Southern charm and beauty…Charleston is home to some of the best chefs and restaurants in the country. What is it about Charleston that makes it such a special place? There are few cities in the United States that have really prominent food cultures. We just came back from New Orleans, which arguably, has one of the most distinctive food cultures in the United States. Charleston, with its Lowcountry cuisine, is another city that combines its African and Caribbean influences along with Southern heritage and local ingredients to create its own unique flavor. How Charleston became one of the top food destinations in the country and the cuisine of the region were a few of the topics we discussed with Chef Mike Lata of FIG when we met with him a few months ago. 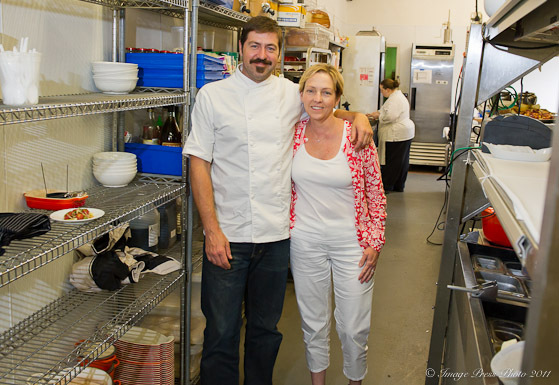 Lata is the Executive Chef and Partner/Owner of FIG, which opened in 2003. Chef Lata is the 2009 winner of the prestigious James Beard Award for Best Chef Southeast (he was also nominated for the award in 2007). In addition to other television appearances, articles and accolades, he appeared on Food Network’s Iron Chef in a battle against Jose Garces in 2010. Lata was also one of the first chefs in the Southeast to work with local growers, purveyors and suppliers in an effort to bring the best and freshest ingredients into his kitchen. 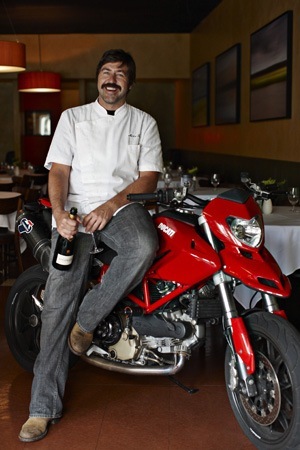 He was inspired to do this while working as the Chef de Cuisine at Jean Banchet’s Ciboulette in Atlanta from 1993-1998. In 1998, Chef Lata made the move to Charleston where he became the Executive Chef at Anson, bringing his farm to table philosophy with him. In 2001, Lata journeyed to France to study French cuisine at Michelin Star restaurants in Southern France and Burgundy. It was this trip and the inspiration of the Charleston region that shaped his culinary style; dishes that are European in influence combined with the best local ingredients. 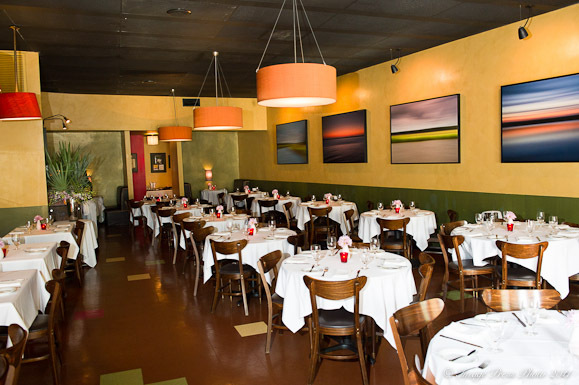 FIG stands for “Food Is Good” and that is a real understatement when dining at FIG. 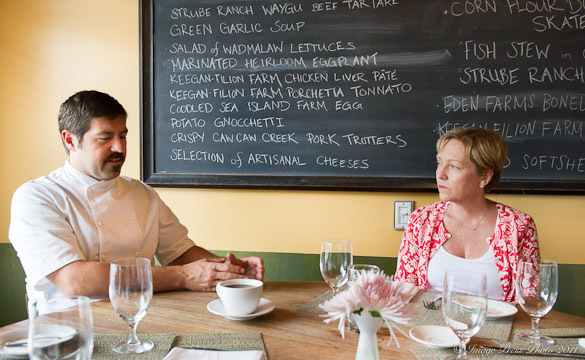 When Lata first arrived in Charleston in 1998, he said the food scene was stale. Every menu included salmon, grouper and tuna. People dining in Charleston also wanted Caesar Salad and Crab Cakes, so that is what was on every menu. However, that was soon to change with some of the up-and-coming chefs. Charleston became even more popular when “food became a national pastime.” Even non-food publications and magazines like Architectural Digest and Golfing Magazine were featuring Charleston chefs and restaurants. There was national exposure to the city and their food scene. In addition to this new exposure, Chef Sean Brock was focused on saving the original seeds and Heirloom varieties of plants from the region and preserving them with the help of Glenn Roberts of Anson Mills. Meanwhile, Chef Lata was working with local fisherman to discover alternative fish that most of us have never heard of, like Banded Rudderfish. “If you are trying to use sustainable fish, you cannot rely on household species like grouper and snapper. These species have been susceptible to overfishing, are heavily managed and quite often, not available from Charleston area waters. Fisherman can’t do anything with the fish they are catching if the chef can’t use them in the kitchen.” This chef prefers to work with these local fisherman rather than import fish from someplace further away. “You cannot replicate these types of cuisines and experiences in cities like New York, Boston or Washington. Charleston has the history, beauty and natural resources. In New York, you have technique driven food, but the food does not taste alive. It is beautifully prepared, but not (regionally) inspired in its flavor.” Lata said that in cities like San Francisco, the food is more casual, but there are better ingredients, so it tastes better. I always miss the South, it made an indelible mark in my life and though long ago, the fact is my children are Southerners, born and raised for the first years of their life in Raleigh. We loved going to Charleston; for the history, the beauty and most definitely for the food! Very nice post Gwen. Charleston is such a great foodie town! Was sorry to have missed FIG on our last visit. Got a real charge out of the Southern Living article this month featuring Charleston’s chefs including Latta and Brock. Boy, what I wouldn’t give for a bite of that, PLUS a visit to Charleston: love that place! Another feather in your cap Gwen! Great article and “nice “photo of the stonies. F-I-G is using our small production of soft shell crabs daily. We are shedding about 25-30 nightly on this upcoming full moon. It is the September second season. We also are catching huge Jimmie crabs (4 dozen to a bushel) up the Cooper River. Will have the stonies when you come. Our soft shell crabs were used for Bob Redferns Outdoor Magazine for his cooking show. I’m still waiting for the video release. I’ve only taken one, very quick day trip to Charleston and now you have me dying to go back. Gwen… really, this post was beautifully done.